Ethel MERMAN (1908-84) was the undisputed queen of American musical theatre, and also regarded as The Queen of Broadway. And of course she earned the title from starring in an incredible string of great musicals from 1930 until 1970. Shows like “Girl Crazy” (1930), “Annie Get Your Gun” (1946), “Call Me Madam” (1950) and “Gypsy”(1959) are all musicals in which she starred and triumphed and they are forever linked to her name. She also acted in a lot of movies, and appeared on TV shows right up to the end. On Youtube you can see clips of Ethel from just about every decade, including duets with both Sha Na Na and the Muppets! Vocally Ethel is a powerhouse! Her voice lies in the mezzo range, and she has the kind of booming sound that hits the back of the theatre even without a microphone. Also blessed with a very clear enunciation, she will get the message through no matter what. That kind of voice may be an acquired taste, but there’s no doubt that Ethel still belongs with the very best of singers of the 20th century. Just about every show she starred has had “original cast” album released, and she’s also re-recorded a lot of her most famous songs on other occasions. 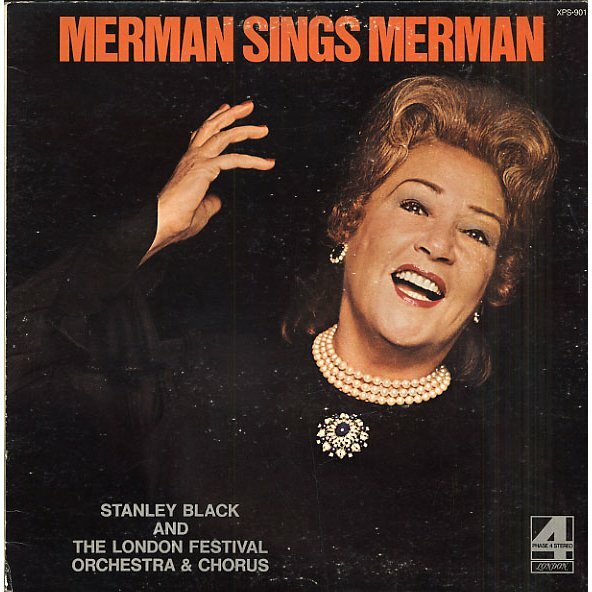 However, she also made a string of “regular” albums and records that reveals Merman the Singer, as opposed to Merman on Stage – front and center! The albums I will be talking about here, will follow the timeline of her singing career in its entirety, starting with the first one made in 1932 and ending with her final album in 1979. Ethel 1932-50: This collection contains Ethel’s first recordings, made 1932 and including her most famous songs from the 30’s and 40’s, ending with a number from “Annie Get Your Gun” recorded 1950. A good overview of her early years! 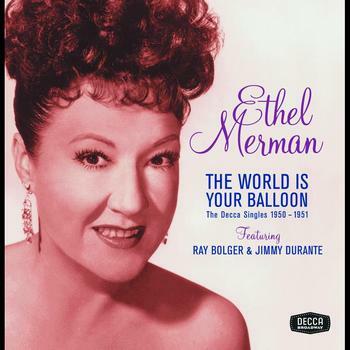 Ethel 1950-51: “The World Is Your Balloon – The Decca Singles 1950-51” is a quite recently released collection of just what the title says. The novelty craze was sweeping the world at this time, and a lot of this stuff is quite funny and she does several duets with Ray Bolger and Jimmy Durante. Stuff like “Ma, she’s shimmying on the beach again” might not be aimed for the top of the charts, but it’s quite good. 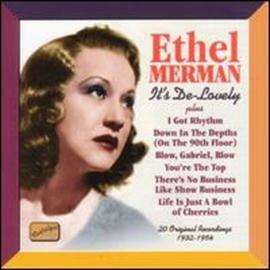 Also included is a stunning version of the classic bluesy ballad “Make the man love me” which Ethel does to perfection! 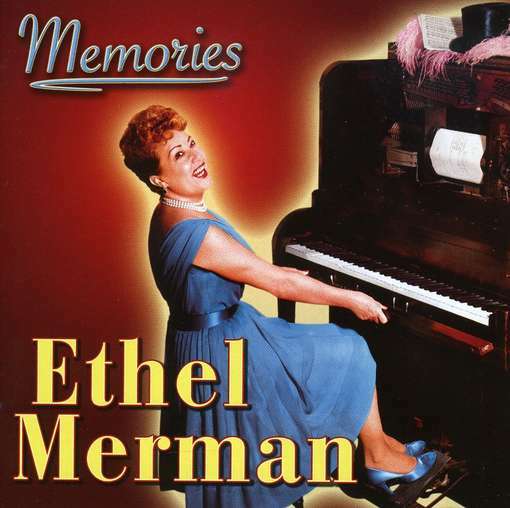 Ethel 1955: You get 2 in 1 here, as this CD collects two of her mid-fifties albums, “Musical Memories” and “Ethel Merman, A Musical Autobiography”. The first 10 tracks are medleys of “sing along” tunes hailing from the turn of the century, cheerfully done in the atmosphere of a cosy club or even your neighborhood pub! The next 15 tracks finds Ethel doing spoken intros to all the songs, and thereby creating a musical autobiography telling you a little about the songs and the shows they were featured in. No new material then, but done in a new way – with narratives. 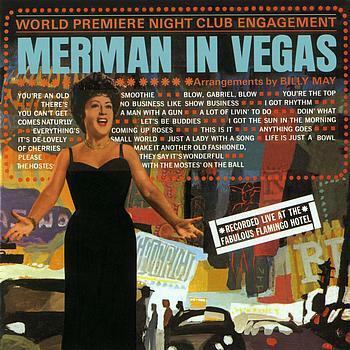 Ethel 1964: Naturally, the queen of musicals also did Las Vegas! This is a live recording of her 1964 club appearance there. It shows a relaxed, funny Ethel in very good voice doing her one-woman show before an appreciative audience! 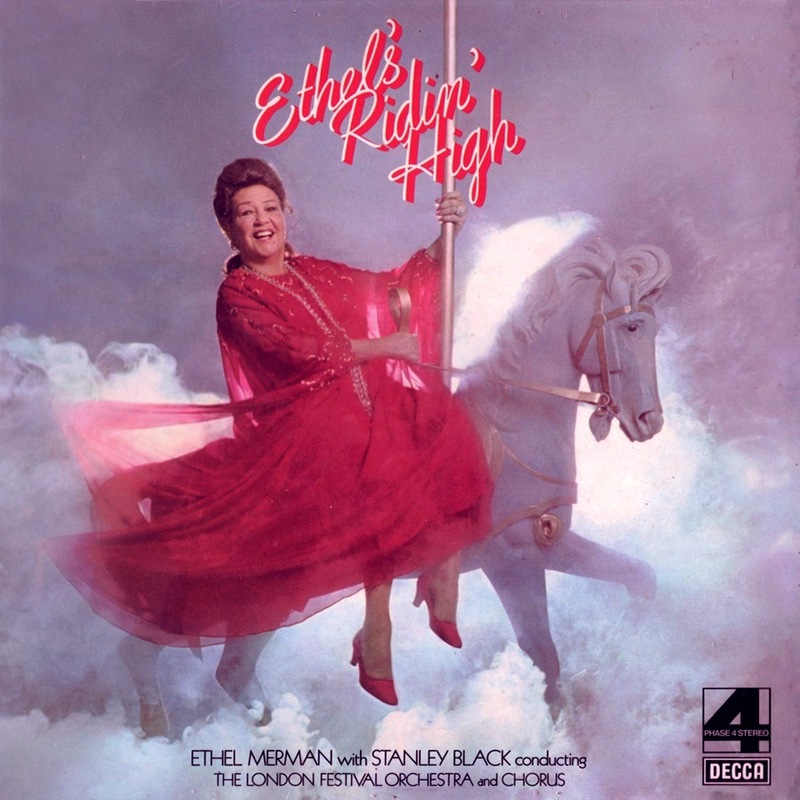 Ethel 1972: Recorded in Great Britain in 1972 with Stanley Black conducting a large orchestra, Ethel does yet another round of her most famous songs including a very sassy “Eadie was a Lady”. Ethel 1974: Also made in Great Britain, “Ethel’s Ridin’ High” from 1974 still finds her with one foot in the world of musicals, but this time she turns her attention to shows she herself had not been starring in. At 66 her vocal power still was not diminished, and she does songs from “Fiddler on the roof”, “Man of La Mancha” and “Stop The World! I Want To Get Off” and others, giving them her personal, queenly stamp! Ethel 1979: After 47 years of recording, and almost 50 years experience in stage musicals, there wasn’t much of the American standard repertoire or show tunes Ethel hadn’t sung. Still the trooper and wanting to work, she did something that left the world in a state of shock; at 71 she did a DISCO album! 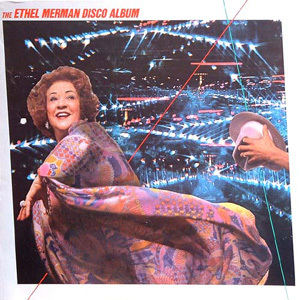 The approach was new, the material wasn’t; Ethel did some of her famous songs, only this time to a disco beat, in extended versions surrounded by synthesizers and back-up singers. The record is pure kitsch of course, but still shows that her voice was good and you have to give her credit for doing something so absolutely crazy. The arrangements are good, you can definitely dance to it and it is indeed the last session she ever recorded. 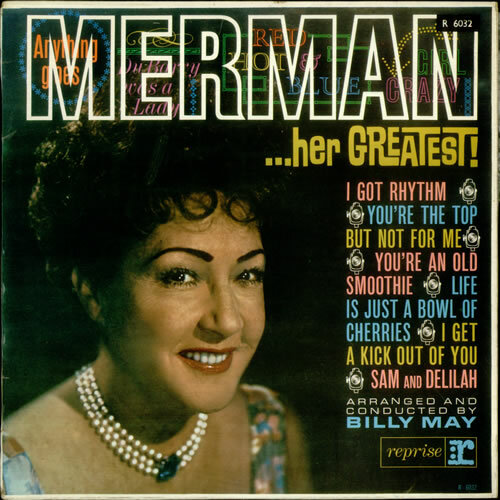 So… there’s my personal opinion of some very good records that will take you through the career of the incredible Ethel Merman!